It is like tracking an airplane without knowing its passengers. The problem is the instruments you have in a tray today may be different than when you set up the tray for tomorrow. Tape around the instruments to identify them really makes the problem even worse ( because you add a problem to an existing problem) because you have two problems: 1- the bacteria building under the tape, 2- the tape cracking as time passes. 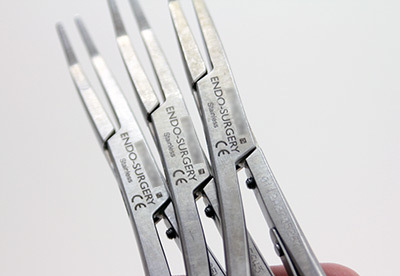 (URFOs) You will still have twenty 5mm hemostats with the same color tape, but you still do not know how to identify them one from the other. For example, looking back in time to research and build a report from a never event based solely on tape color will be extremely challenging. There is no data to pinpoint which instruments were used during this particular event. Tracking at the "Instrument Level" will solve all of the above problems. Now each of your instruments inside the supply chain has a UDI (Unique device Identification) that retrofits your current inventory. The FDA is now mandating it to healthcare (Healthcare Manufactures) which will make this traceability extremely easy. The most prevalent problem right now is that in the past tracking companies offered the “track at instrument level” without knowing how to mark the instruments, by using improper techniques and/or making it very difficult for customers to do it themselves. A prime example: Electrolysis and 2D Datamatrix stickers have become yet another extension of the colored tape problem. 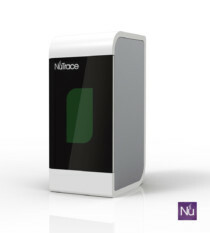 Here at NuTrace, we use laser technology to retrofit and mark "All" instruments within the supply chain while easily importing them directly into NuTrace. (Link all sets to procedure, doctor, patient and production reports all housed inside any EHR). The laser advantage? One word....Speed. 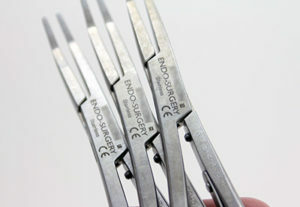 We can mark six hundred instruments a day or more with a mark that never will disappear, but will not rust nor create bacteria (as some competitors suggest). 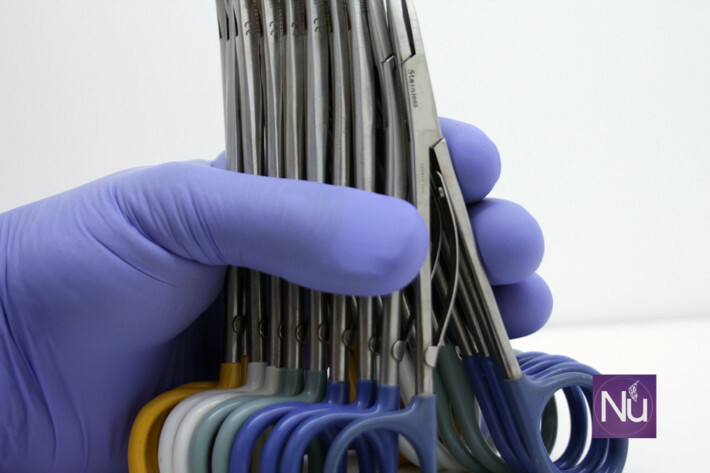 Years of testing in our lab with thousands of different instruments ( both marked and sterilized) give us the confidence to bring this service to your Sterile Processing Department. Contact us for more information.